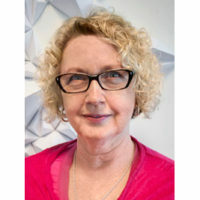 Susan McGrath is the Canberra-based National Policy Manager for COTA Australia. Her role at COTA allows her to pursue a fervent interest in the wellbeing of older people and the issues facing an ageing society across social, economic, health and environmental policy. Sue has worked in many professional roles in government and the community sector, and as a consultant to both. She has contributed to Commonwealth policy development, improving government programs and administration, and in community organisations. Maintaining private health cover in later life, on a fixed income, can be a costly proposition. Yet at 30 June 2015 52 per cent of people over the age of 65 had private health insurance (PHI) compared with 56 per cent of the population overall, even though we have Medicare; a universal health care system. How is this explained? and/or skipping the public hospital waiting list. The same research also found that the main reason for people over 50 not purchasing health insurance was affordability. This barrier has compounded over time by a rise in premium rates well above the CPI growth. These findings tallied with what we at COTA have heard from members and the older general public over time. Nonetheless we tested these propositions again recently by asking our members to give us their views on PHI, prompting them with a few questions around value for money, motivations for having/not having PHI, and scope of PHI. Most of the members from whom we heard had some level of PHI. However, many questioned its value given the high cost of premiums compared to the benefits received in return. Out-of-pocket expenses were a great concern. A number of members reported very good experiences using the public hospital system, leading them to further question the value of PHI. Despite this, most members maintained their PHI coverage to avoid lengthy waiting lists in the public health system and to have the doctor of their choice. Some of the longest waiting lists apply to procedures that are most relevant to older people, such as joint replacements. The jury remained out on the issue of Extras cover. It was valued by some of our respondents as it allowed them to maintain optimal health by providing access to a range of allied health services, particularly optical and dental care. Others felt that Extras cover was of little value. The cost of PHI and the rate of premium increases was the most commonly expressed concern, particularly for those who are reliant on the Age Pension. Many were concerned they may not be able to afford PHI in the future given the premium increases, especially if there is a reduction in the PHI Rebate. While some members noted that using PHI preferred providers increased the benefits paid, the preferred provider was not necessarily the provider of the member’s choice. The challenge of shopping around for PHI was also highlighted as it is increasingly complex and difficult to compare the benefits of products offered. One member highlighted the importance of considering subtle differences in benefits, for example coverage for ‘ambulance in emergencies only’ does not include a range of situations for older people where an ambulance may be needed but is not considered an emergency. This recent consumer input has further strengthened COTA’s PHI advocacy stance on the key issues of affordability, value for money and consumer information. At a broader political level, COTA is also often involved in the policy debate about the role of government-supported PHI in a mixed public/private healthcare system. For example, there are a number of government ‘carrots and sticks’ in place to encourage Australians to take out and maintain PHI on a life-long basis. Those ‘carrots and sticks’ are expensive and their value is a contentious issue. In 2013 the Grattan Institute estimated that abolishing the government Private Health Insurance Rebate would save around $3 billion. COTA argues that this enormous public investment in PHI needs to deliver better health outcomes for the nation overall and for our constituency of older health consumers. Like CHF, COTA participates in the Private Health Ministerial Advisory Committee, and is represented by COTA Australia Chief Executive, Ian Yates AM .